(WAFB) - Few plants have created as much controversy as cannabis. Known as marijuana, pot, and a myriad of other nicknames, the federal government just calls it illegal. Marijuana is considered a schedule I drug, which by definition means it has potential for abuse and no accepted medical uses. However, many researchers are challenging that last statement and digging deeper into the medicinal properties of pot. Soon, that will include researchers at the LSU Ag Center. "The medical research on this, in terms of marijuana, is lacking in general. We have a lot of antidotal information, but not a lot of real clinical studies of if you do this, you get this outcome," said vice president of LSU agriculture, Dr. Bill Richardson. The Louisiana legislature passed a law allowing LSU and Southern University to cultivate and produce medical marijuana. Licensed pharmacies will eventually distribute the medical marijuana products to patients suffering from specific, debilitating medical conditions laid out in the law. They include HIV, AIDS, cancer, seizures disorders, and other illnesses. As for LSU's role, Richardson says their focus will be pure research. "We didn't want to be just another marijuana grower. We really wanted to do something to be involved in a research program and help people long term," said Richardson. While Louisiana lawmakers have paved the way for LSU to begin its medical marijuana program, the University of Mississippi has the only facility in the country with a federal license to grow marijuana. The Ole Miss pharmacy school has been growing cannabis for the federal government and the National Institute on Drug Abuse since the late 1968. Essentially, any research done on marijuana in the last 50 years started with plants grown at the Ole Miss facility. "We've made the biggest contribution in the nation in understanding the chemistry of the plant. We have isolated more compounds out of the cannabis plant that anyone in the world actually," said the program's head, Dr. Mahmoud ElSohly. Because the Drug Enforcement Agency (DEA) oversees the operation, the facility is subject to rigid procedures that dictate everything from how much and what type of marijuana is grown, to how the facility disposes of trash. 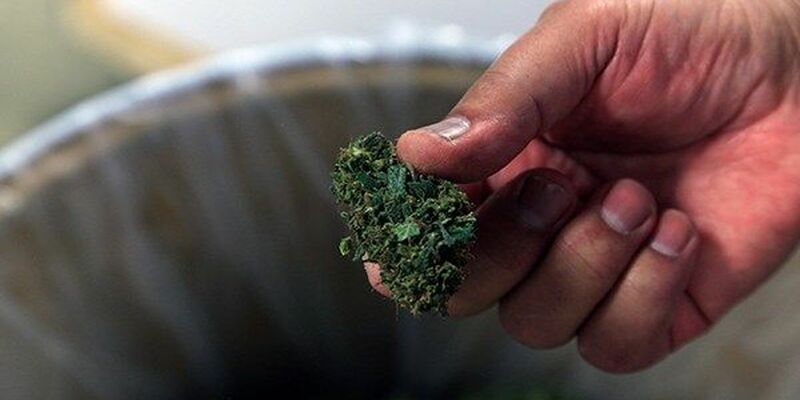 The program produces research grade marijuana in whatever form federally approved investigators need, from dried plant buds and standardized pot cigarettes, to isolated chemical compounds found in the plant. ElSohly says the procedures ensure researchers are given a quality product. However, he says the growing gap between state marijuana laws and federal marijuana laws are leading to double standards in the industry. "LSU doing this would be conducting an illegal operation under the federal law," said ElSolhly. "It might be OK in Louisiana, but it's not OK on the federal level." At LSU, Richardson says they've consulted with law enforcement, including the DEA and the U.S. Attorney's Office, as they've developed their program. "We are dealing with a federally illegal product, so with that aspect, we're trying to cover every base we possibly can to make sure the public is comfortable with what we're doing," said Richardson. That's one reason a third party contractor will handle the actual growing of the plant and pay for the growing facility. No taxpayer money will be used. Also, the facility will be located off campus and no students or anyone under 21 will be able to work there. Richardson says the facility will also face strict security and safety procedures, noting they are following state law to the letter. While it's unknown if the federal laws on marijuana will change anytime soon, officials at both LSU and Ole Miss agree that research on the plant will only increase.